Pamela Moore was an American writer educated at Rosemary Hall and Barnard College. 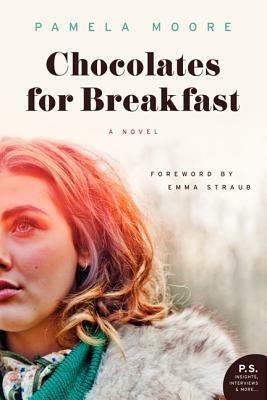 Her first book, Chocolates for Breakfast, was published when she was eighteen and became an international bestseller. Moore went on to write four more novels, but none of these enjoyed the success of her first. She died in 1964 at the age of twenty-six, while at work on her final, unpublished novel, Kathy on the Rocks.